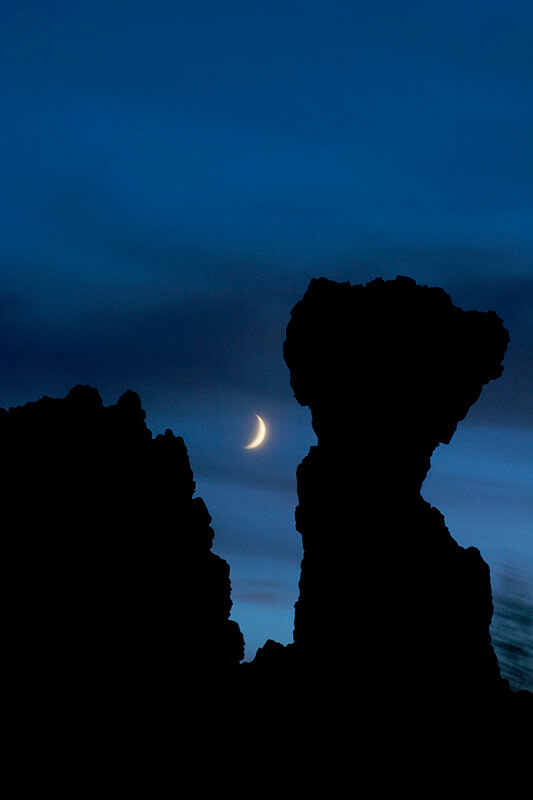 Pre-visualizing this scene prior to dusk, I waited for the sun to set for long enough to photograph the silhouetted tufa with rising moon. The downside to this was I was not prepared to walk the trail back to my car in near pitch-black conditions. Fortunately I did eventually make it back though I did almost suffer a nervous-breakdown in the process.